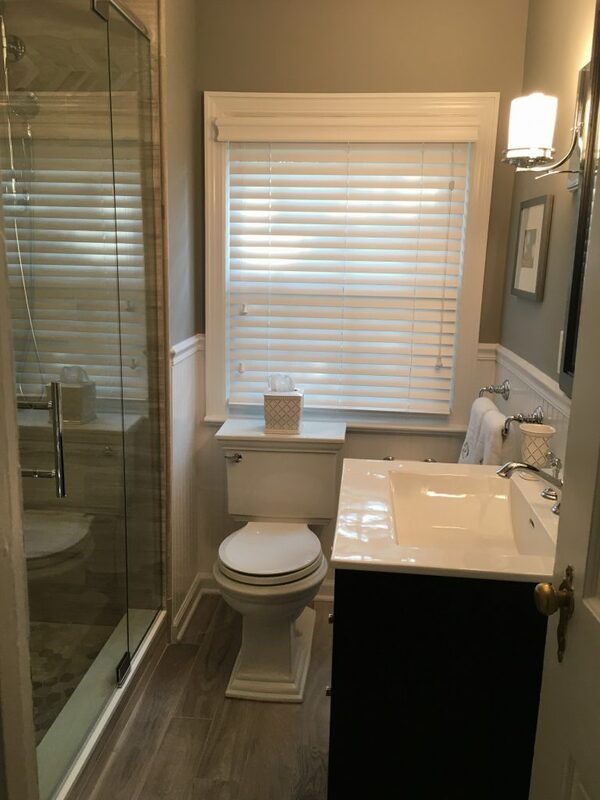 Being the only full bathroom on the second floor, the owners of this Chatham, NJ home wanted their primary bathroom to be completely updated, and fit the bill for what they want in their main bathroom. The most critical update for these homeowners was a tub to shower conversion. They wanted an oversized shower to better meet their needs. After gutting the existing bathroom, our team began the installation. The existing bath tub was converted into a walk-in shower, complete with a luxurious shower bench on the near side. All fixtures were brand new and brought in specifically for this updating project. A new double paned, high efficiency window was brought in to replace the old window. Our team of carpenters installed new beadboard trim throughout the bathroom. A new framed mirror was hung as well. This bathroom was outfitted with a porcelain faux-wood tile. This allows the bathroom to have the sophisticated look of hardwood floors, with the easy maintenance and clean up of tile floors. Porcelain shower tile (similar to the flooring) with a fun chevron accent was installed. A fun hexagon tile was used for the shower floor. In only four weeks our team at Monk’s Home Improvements had completely transformed this home’s bathroom. 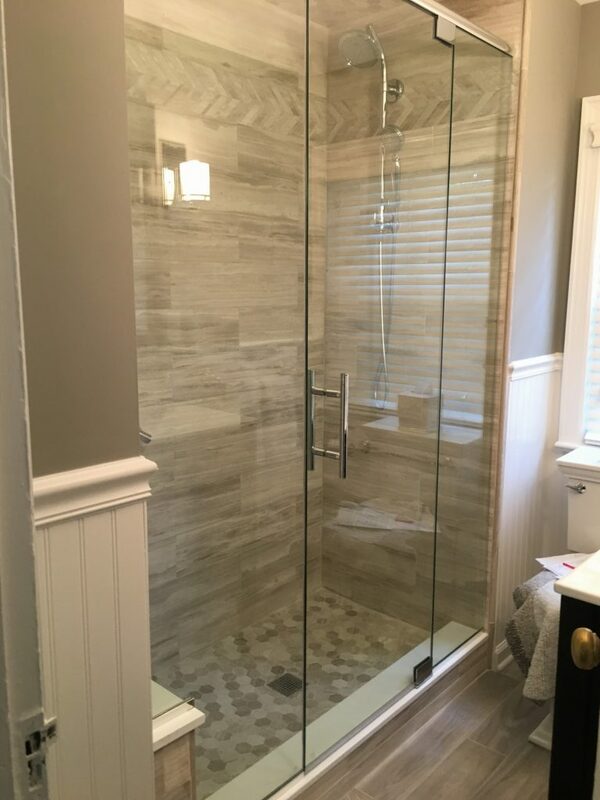 If you are considering a bathroom remodeling project for your home we would like the opportunity to tell you why we think we are the best bathroom remodeling contractor in Chatham, NJ.